Hugh Jackman and Daniel Craig are set to star on Broadway together in A Steady Rain. Greetings from Manhattan! We simply must bring you the latest dish concerning the Great White Way and its two biggest new stars – James Bond and Wolverine. Yep, that’s right. Broadway’s the game, the name, the street. The dream! Living the dream, that is! And who better to star than the man, the myth, the Aussie: hottie Hugh Jackman! The superhero from the X-Men movies along with Daniel Craig are planning to star together in a play about two Chicago policemen called A Steady Rain. The play begins preview performances in Manhattan on September 10. You may recall Jackman was a huge hit on Broadway in 2004 during his Tony Award winning role in his musical The Boy From Oz. For those of us who didn’t catch a glimpse of him on stage, we were dazzled by his performance as the emcee at this year’s Academy Awards. He’s already been accepted with welcome arms by New Yorkers and for Londoners — he’s already been embraced as well since he’s appeared on stage in the UK quite often. 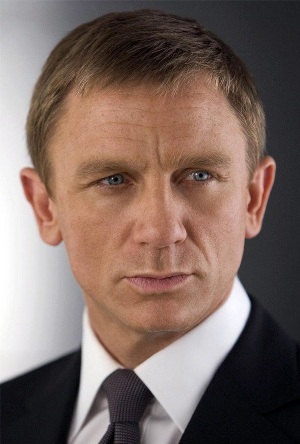 As for Daniel Craig, his stellar stage performances aren’t too shabby either. He’s starred on the London stage and of course, we know him for Casino Royale and Quantum of Solace. The box office hit master will team up with Jackman in A Steady Rain which was first produced off-Broadway in 2006. Is Michael Jackson’s body missing? Are you ready for Bruno?